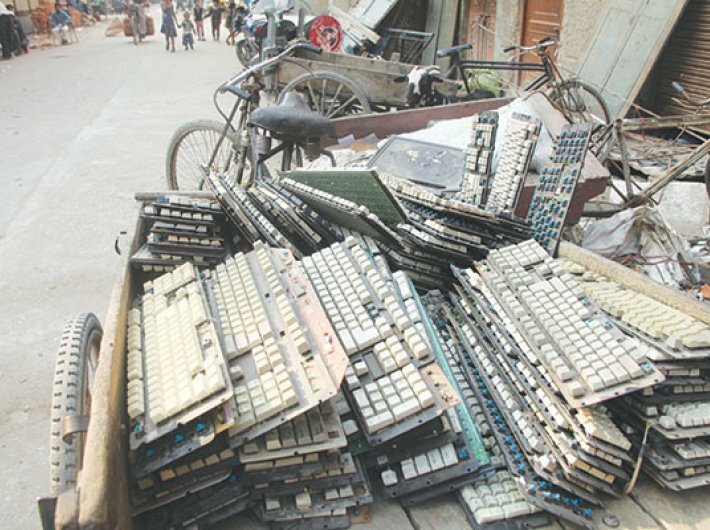 By 2020 India’s e-waste from old mobiles and computers will rise by about 1,800 percent and 500 percent respectively as compared to the levels in the year 2007, according to an ASSOCHAM-KPMG joint study. India discarded approximately 18 lakh metric tonnes of e-waste in 2016 which is about 12 percent to the global e-waste production. India is the fifth largest producer of e-waste in the world and recycles less than two percent of the total e-waste it produces annually. The Ministry of Environment, Forest and Climate Change rolled out the E-waste (Management) Rules in 2016 to reduce e-waste production and increase recycling. Under these rules, the government introduced Extended Producers Responsibility (EPR) which makes producers liable to collect 30 percent to 70 percent (over seven years) of the e-waste they produce, said the study. The industry is unable to cope up with these targets as majority of the e-waste collected in India is managed by an unorganised sector. Also, informal channels of recycling/ reuse of electronics such as repair shops, used product dealers, e-commerce portal vendors collect a significant proportion of the discarded electronics for reuse and cannibalisation of parts and components, adds the study. Accompanied by the huge size of the population and rising electronics users in the country, managing an unorganised sector to achieve such high targets may not be feasible. Thus, the ASSOCHAM suggests that the government may look at collaborating with the industry to draw out formal/standard operating procedures and a phased approach towards the agenda of reducing e-wastes to the lowest. Alternatively, the government may also refer methods adopted by other countries for efficient collection and recycling of e-wastes. For example, South Korea, one of the largest producer of electronics managed to recycle 21 percent of the total 0.8 million tonnes of e-waste that it produced in 2015, said the study.